In my last post I mentioned how I saved on Special K cereal, well that sale was so good, I had to go back for more. 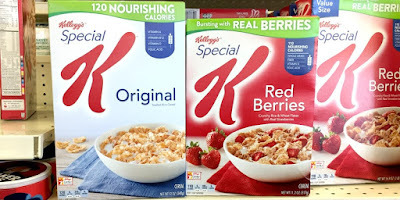 The Special K cereal was on sale for 2 boxes for $3.00 and I had coupons that doubled making the boxes only $0.50 each after the sale and coupons. I ended up getting eight boxes this shopping trip. The deal was just too good to pass up! So the bulk of my savings for this shopping trip came mostly from the cereal sale and the coupons for the cereal (coupons that doubled) but I was also able to save some money on some orange juice on sale, along with a good sale on Italian bread, making my savings from this shopping trip $29.31.